REDUCED TO 2.8m AUD - UNDER 400 hours. THE VERY RARE AND EXCEPTIONALLY SORT AFTER PRINCESS V85-S.
A true high performance SPORTS YACHT which combines advanced engineering & traditional craftsmanship to deliver excitement & tranquility in equal measure. Among the benefits, there is a spacious double garage, large enough for a 4m RIB and jet ski, a hydraulic raise/lower bathing platform complete the impressive specifications and ensure the Princess V85-S is the ultimate base for enjoying the excitement of the ocean. Light oak satin interior wood finish white hull and superstructure. Well maintained and available now. SYS Yacht Sales is pleased to assist you in the purchase of this vessel. 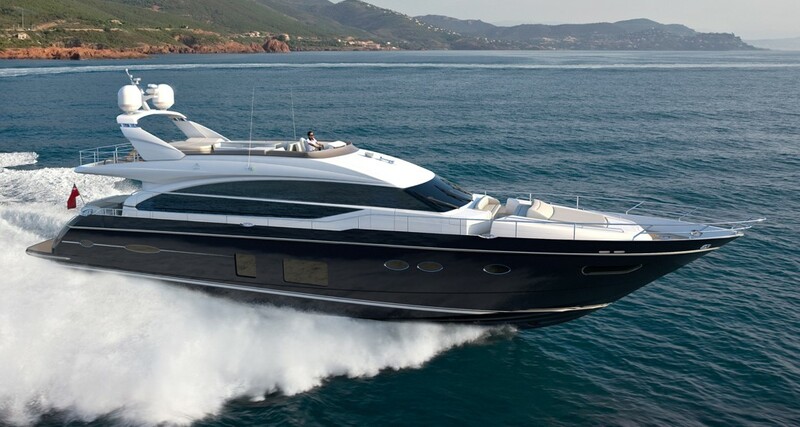 This boat is centrally listed by The Boutique Boat Company.